Sometimes we associate certain recipes with certain people and oh, what good memories they bring. A lady at my church, Ms. Helen, made these tasty candy-like cookies for almost every covered dish dinner we had. What a special lady and how I miss her! So when another lady, Ms. Dot, blessed me with several boxes of cornflakes cereal, I decided to make some goodies for the helpers at our church’s yard sale. They were gone in a flash! 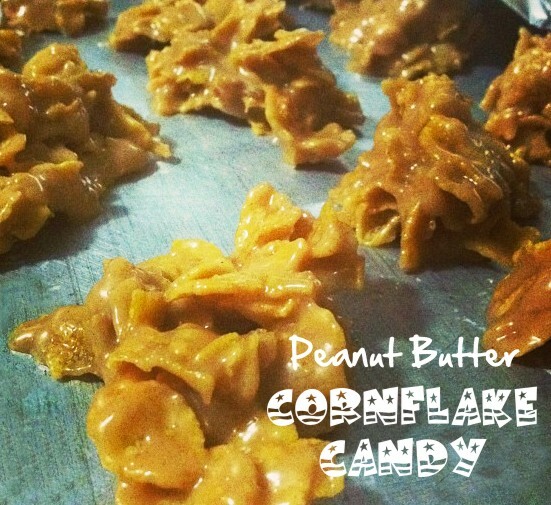 Easy, simple, and a great bake-sale item, I hope you try this soon. Measure out cornflakes into a large glass bowl and prepare a large sheet pan by lining with parchment paper or buttering the pan. Pour over the cornflakes and mix well. Working quickly, drop by spoonfuls on the prepared sheet pan and set aside to cool. NOTE: Mixture can also be pressed into a buttered 9 x 13 inch baking pan and cut into squares. I love a cold salad for summer supper. It satisfies but you don’t feel stuffed. 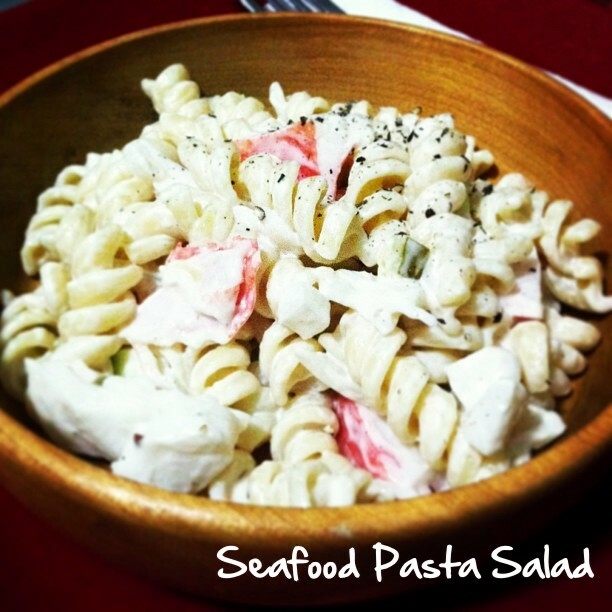 This bright, fresh, seafood salad is one of my favorites. Cook pasta according to package directions. Meanwhile, in a large bowl, combine the mayonnaise, ketchup, lemon juice and seasonings. Set aside. Drain pasta and rinse in cold water. 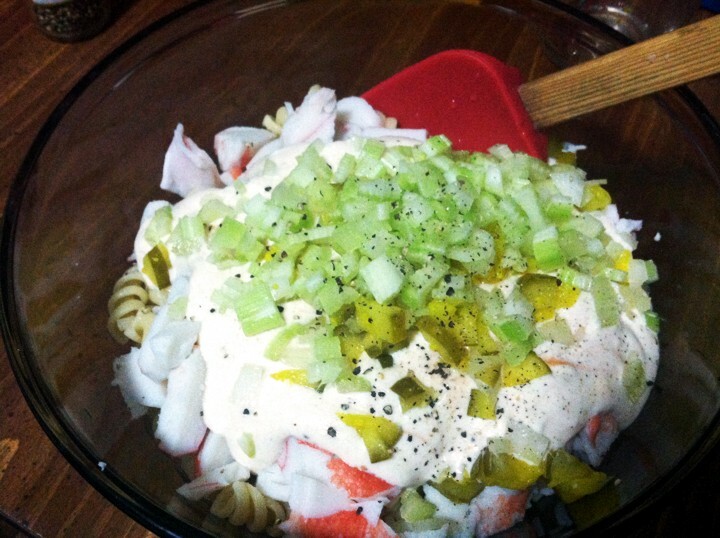 Gently combine crabmeat and sauce mixture with pasta. Chill for a couple of hours for the seasonings to blend. *Optional additions: fresh chopped broccoli or cauliflower, shredded cheese, cooked salad shrimp. Disclaimer: The links contained in this post are Affiliate Links. If you purchase through the links provided, I will receive a small compensation at no extra cost to you. Thanks for your support! Sometimes you just gotta have a cookie…and fast! 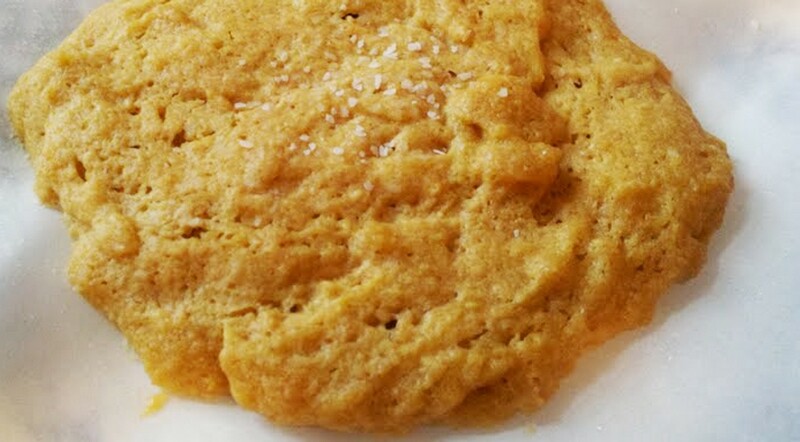 I got to thinking about that One Minute Muffin recipe I’ve seen …and then I thought about the low carb peanut butter cookie recipe that uses just 3 ingredients. 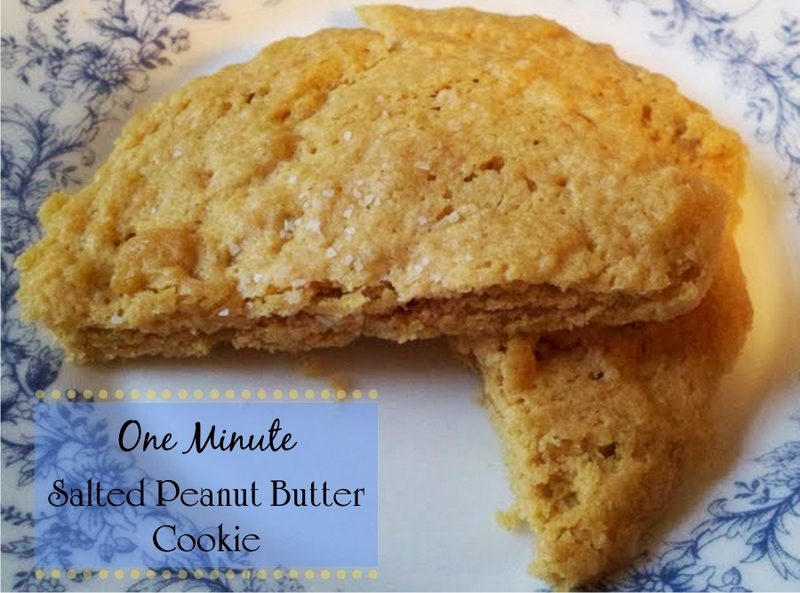 Hmm, could I put the one minute concept to the peanut butter cookie recipe and get a quick cookie? The only addition I made was to add about 1 tablespoon of coconut flour to the batter. 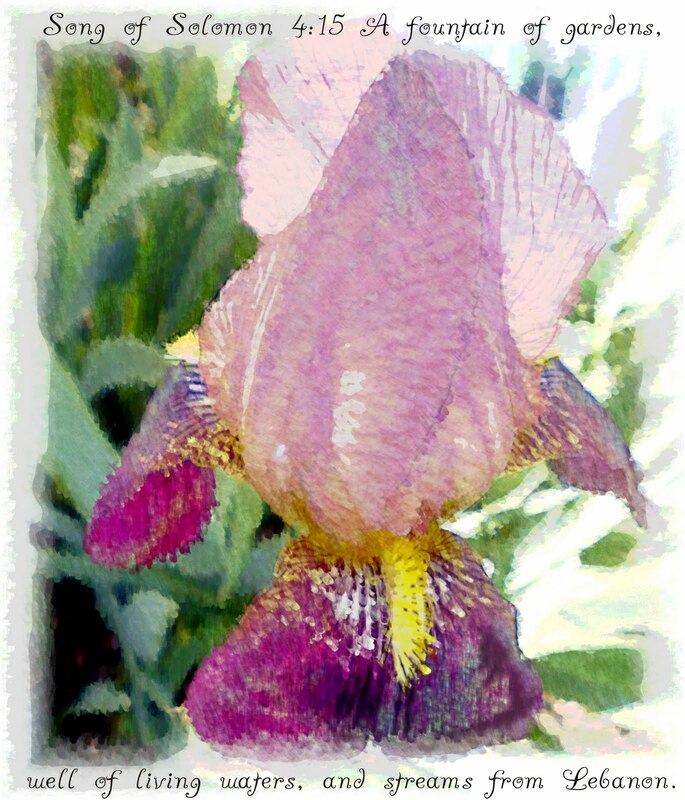 I was just testing to see if it would help the texture. It was yummy. I lined a small microwave safe plate with parchment paper and spread out about 1/6 of the recipe in the middle of the plate. That equals a big scoop. I nuked the cookie dough on high for one minute exactly and let it cool. I lightly sprinkled with kosher salt. Then I ate it. It’s nice to have a quick treat once in a while. Looking for a tasty dessert for July 4th? For real?! I can’t believe I didn’t think of this. My hubby loves Nutter Butters! 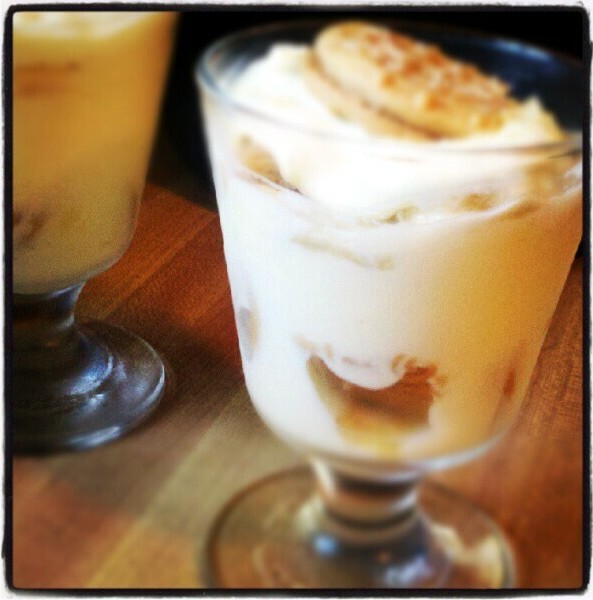 so I try to make him a Banana-less Pudding ever now and then. I just had to add a few to this tasty treat! 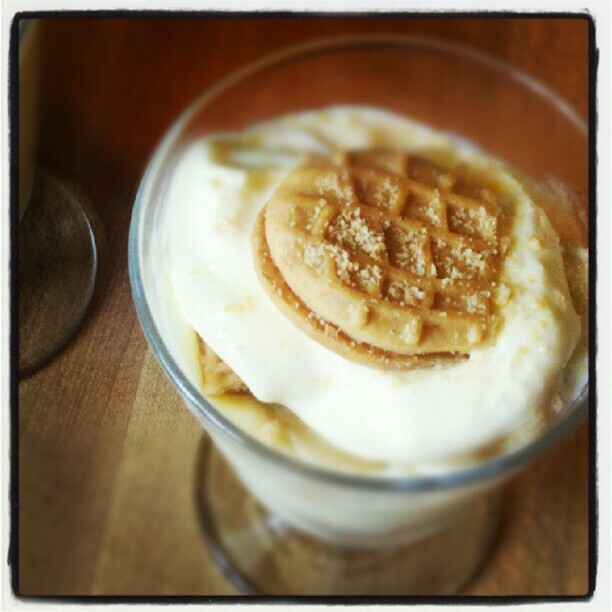 Layers of yummy peanut butter cookies, bananas, and a creamy cool pudding. I used my no cook recipe for the pudding mixture, but I’m eager to try it some day with the classic cooked custard recipe that mom taught me. In a large mixing bowl, beat pudding mix and milk for about 2 minutes. Blend in condensed milk, vanilla, and peanut butter until smooth. 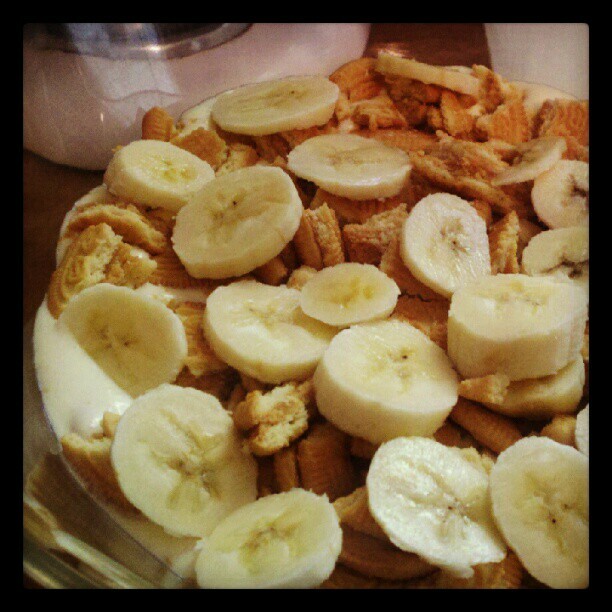 Layer cookies, bananas and pudding mixture in a glass serving bowl. Chill overnight to allow the cookies to soften. the mixture to get it closer to a sauce. Enjoy and have a great 4th! 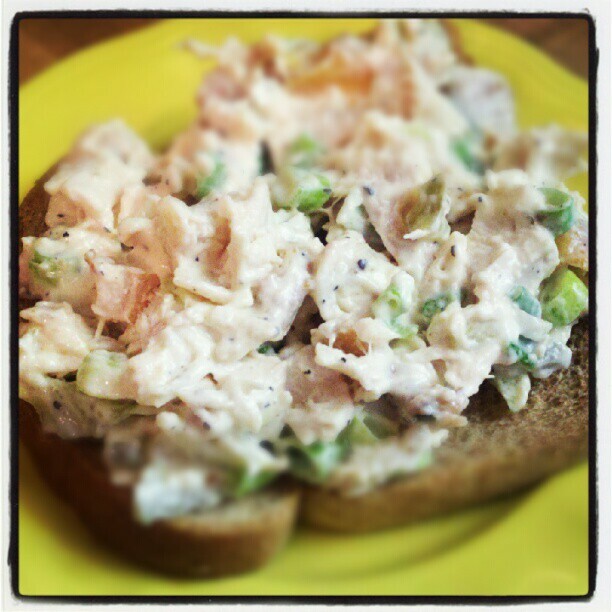 As I was home for lunch, I literally threw together some very delicious homemade chicken salad and served it on toasted bread. I used about 1 1/2 cups of leftover rotisserie chicken, some diced pickles, chopped green onions (2), and maybe a 1/2 cup of mayo. I salted and peppered to my taste. And it was tasty. To add a little zip to the flavor, I added about a tsp of dill pickle juice and one pack of a Stevia based sweetener. I think this really brightened up the flavor. 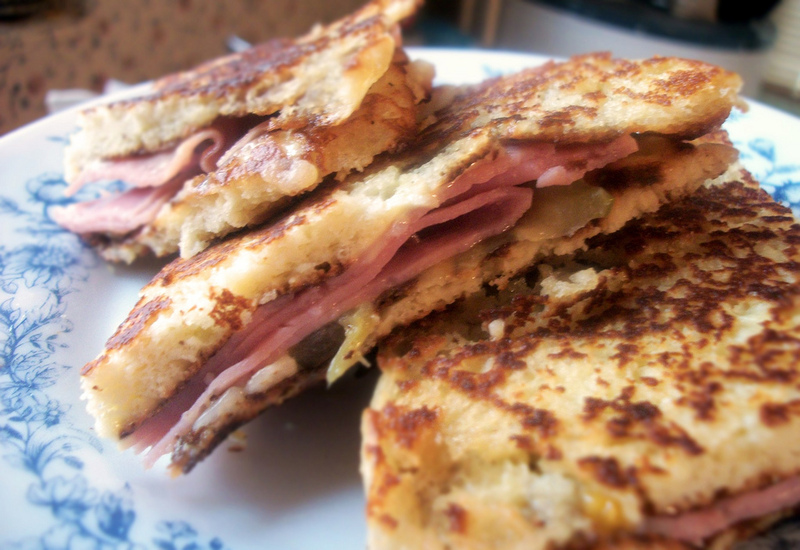 It’s a great way to use up leftover rotisserie chicken and it was quick and easy, too! Happy Birthday to one of my dearest friends, Laura! just in time for this holiday! 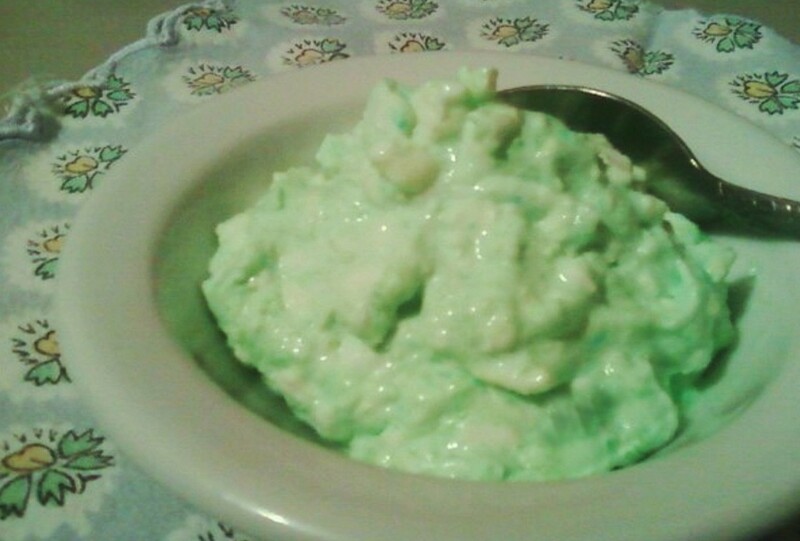 Dissolve jello in lightly beaten whipped cream, add the cottage cheese and mix well. Pour into small container and chill until set. * This is pretty rich and I’m only able to eat about 1/3 of a cup at a time. It was nice for a quick treat, but nothing like Mom’s Lime Jello Salad with pineapple, marshmallows and nuts! Her’s was the best. 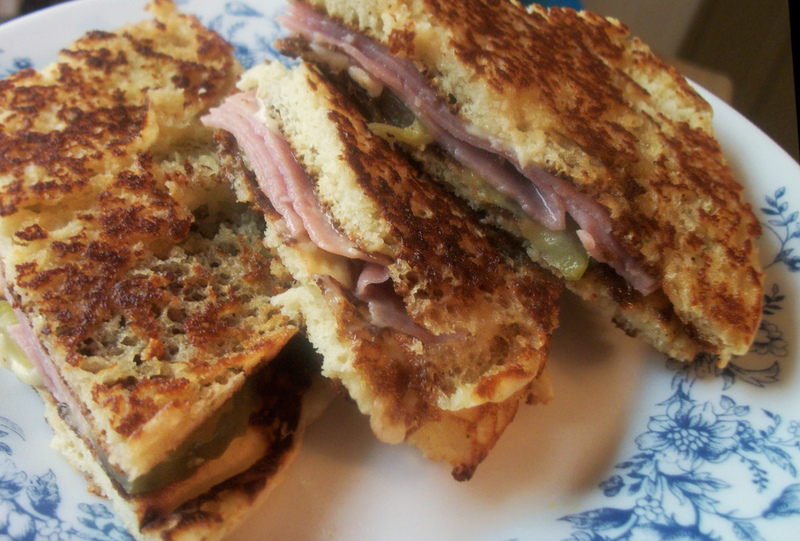 just call this a Hot Ham Sandwich?! with pics and how I did made it. I made up my biscuit dough and actually fried it up like a pancake. It made 2 good size pancakes or fried bread. or served along with soup would be dinner! Board games are making a big comeback! 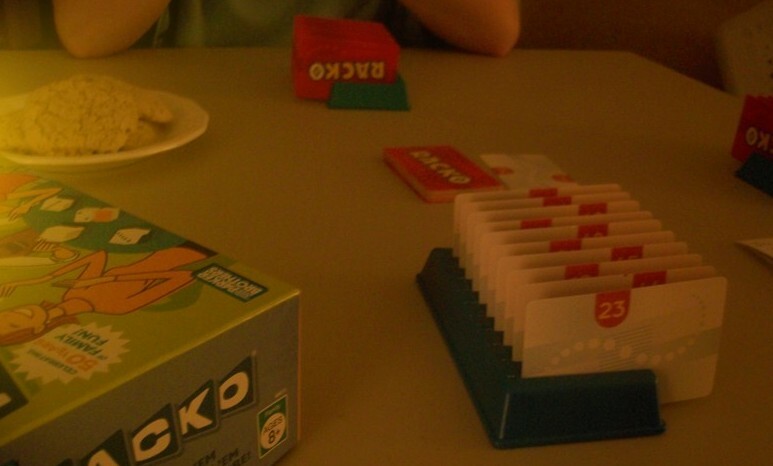 Did we ever have fun playing Racko and then Sorry! Of course, Game Night calls for having some snacks. 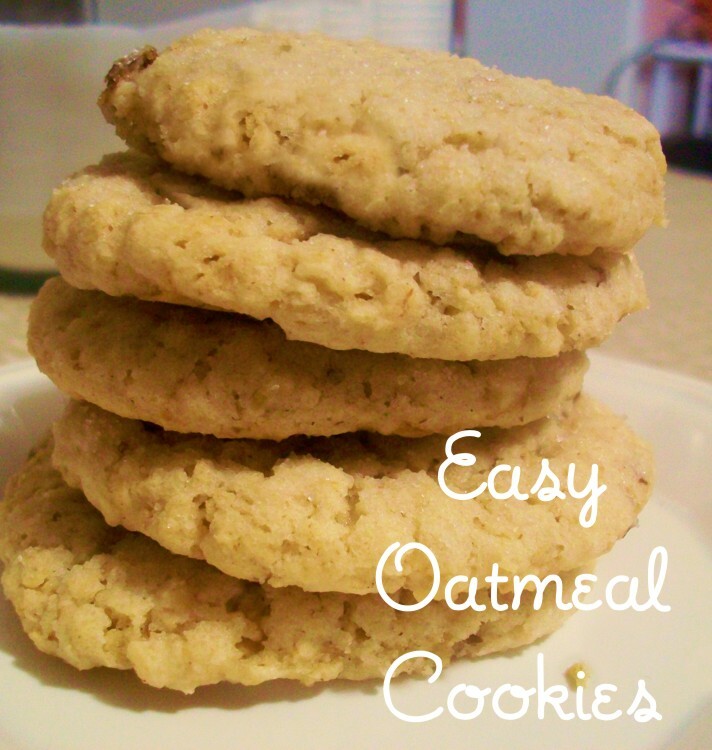 easiest oatmeal cookie recipe I could find. This one fits the bill! Dip the bottom of a drinking glass or a cookie press in sugar and use to flatten cookies. Bake at 350º 10 – 12 minutes. They won’t darken up a lot, but they’ll be delicious! NOTE: If you have all purpose flour on hand – for each cup of all purpose flour, add 1 1/4 teaspoons of baking powder and 1/4 teaspoon of salt. These are the absolute best! I serve them along with some homemade dip and a big tall glass of Diet Pepsi. Amazon has a great price, too. Check’m out! 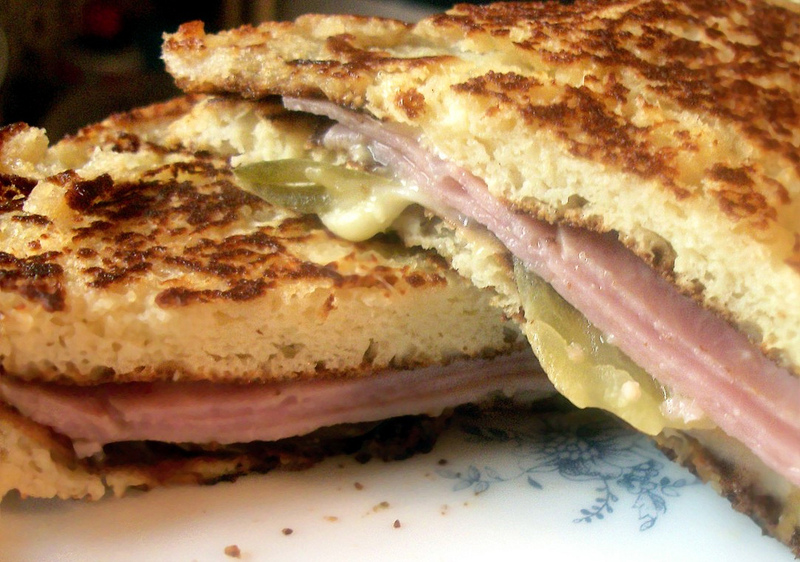 Sometimes some of the best suppers come from the hands of friends and family. Fried Pork Tenderloin, fresh from the H Farms in Kentucky and courtesy of my dear sister-in-law, Dorothy. We never leave Dorothy’s without a cooler packed with meat and jars of home-canned greenbeans and vegetable soup. The tomatoes are from my father’s garden. He delivered those to me at work, along with a large bag of sweet bell peppers. I will slice and freeze most of those for future use. To complete the simple meal, I threw together some drop biscuits using a pre-made baking mix. My girls seem to think that drop biscuits are a gourmet treat. Gone are the days of actually rolling the dough. Those are just plain biscuits! Whatever they want to think. Drop biscuits are so easy, I don’t think I’ll explain the difference to them just yet. There are several versions of the Low Carb Sausage Egg Muffin out there. 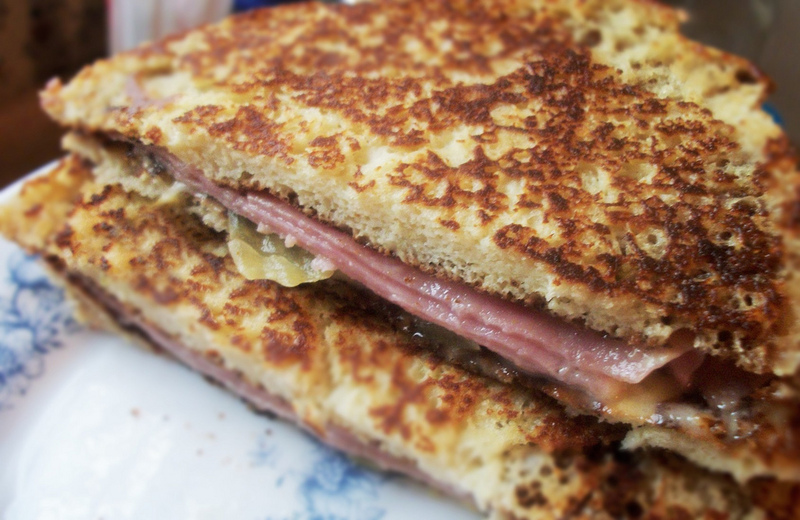 I came across this recipe a few years ago and have continued to use it when I have a desire for an easy take-along breakfast. Using a 6 cup muffin pan, place about 1 tablespoon of crushed pork skins in the bottom of each muffin cup. Next, place meat and veggies on top of the pork skins. Pour the beaten eggs over the pork skins, meat, and veggies layers, enough to fill the cup. Top with shredded cheese. Bake at 350º for 20-25 minutes or until the muffins have puffed up and look set (done). Sorry there’s no specific measurements. I usually just guesstimate on the amounts. That means the muffins are usually different, but always good. There’s so many possibilities. One of my favorites combinations is pizza toppings where I use pepperoni, mushrooms, peppers and onions. Another possibility is a savory cheesy chicken and broccoli muffin. After baking, I let them cool, then bag them up by twos. That gives me three days of a ready-made low carb breakfast that I can take along to work with me to have with my coffee. 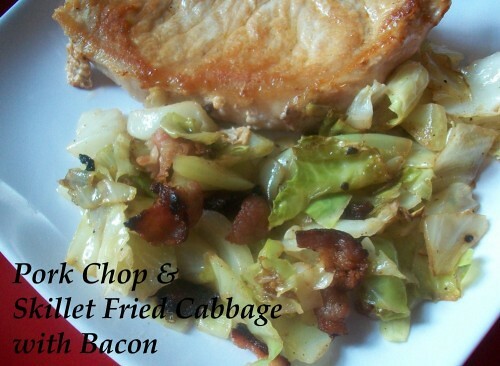 For more low carb recipes, go here.